You can get duct tape in so many great colors and prints these days that I had to make a DIY project with it. It is such an easy product to work with and it’s also super strong. I got the idea to make a clutch where you don’t need a needle and thread. Instead you use duct tape to keep everything together. It’s not only super easy it also looks very nice. The duct tape gives a fun color accent to your clutch! The base is made ​​from a table-mat. 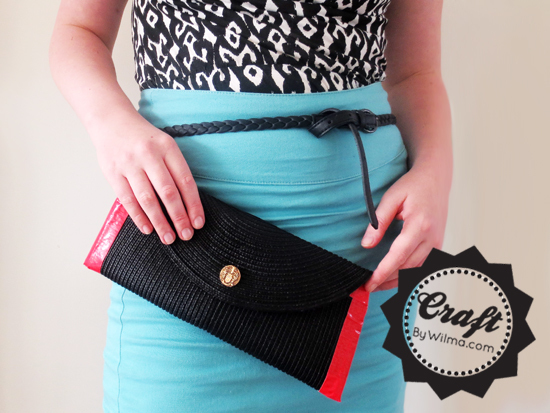 Read on to see how to make this clutch from a table-mat and duct tape. . . I have a whole bunch of jars with different shapes and sizes standing here without being used. I have used them in the past in the kitchen for pasta, sugar and flour. But I think it is ultimately better to have jars who look the same. I also had a pot with an advertising message on it. Not very nice to display in the kitchen. It seemed like a good idea to cover them with fabric. Now they are super cute jars who earn a spot in the kitchen! 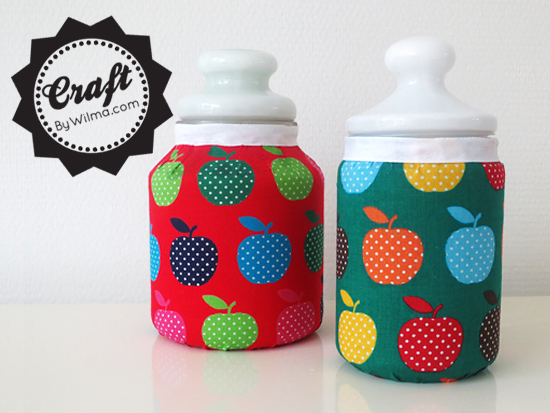 Read on to see how you make these cute fabric covered jars. . . 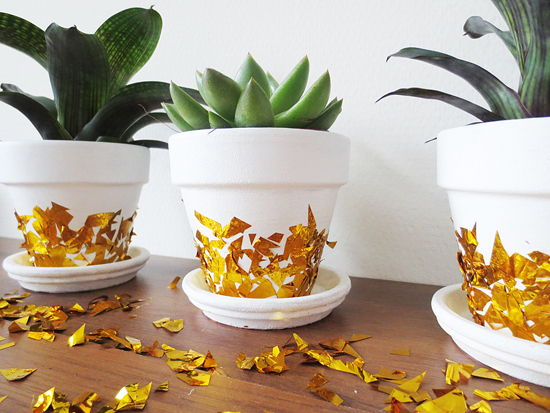 I was asked by Buzzfeed to make a DIY with confetti. Super fun of course! 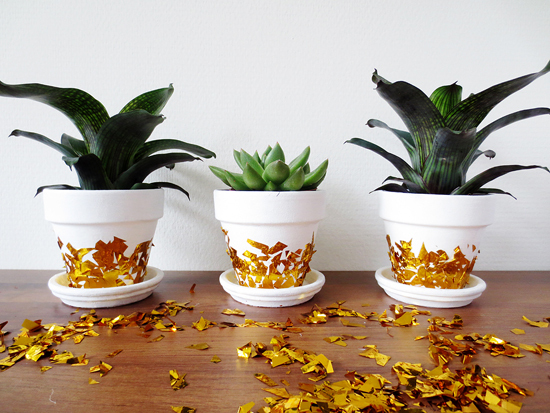 I decided to make something with gold confetti. By adding an additional layer of matte Mod Podge the structure looks a little bit like gold leaf. I think it’s a nice contrast with the white terracotta planters! Sundried tomatoes are delicious in for example a salad or pasta. I usually buy them, but because I had some tomatoes lying around I decided to make them myself this time. They taste great and much better than the sun-dried tomatoes from the store. The oil where you save them in is given a wonderfully aromatic flavor and is also delicious for a salad dressing or you could use it for dipping bread. Maybe a focaccia bread? 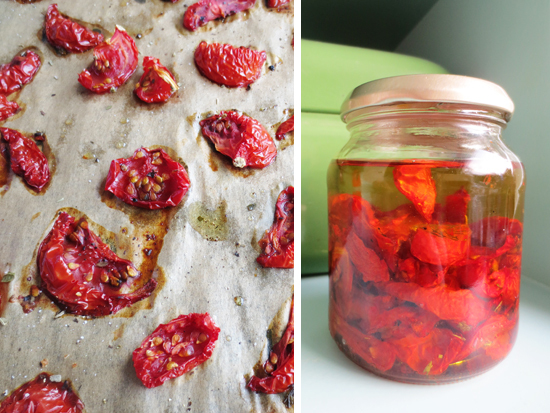 Read on to see how to make sun-dried tomatoes. . . I think zucchini is a delicious vegetable that’s very easy to handle in all kinds of dishes. 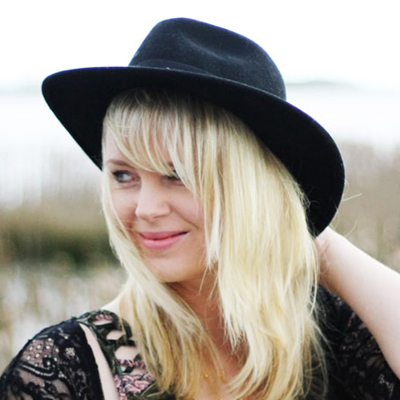 Today I have a zucchini pasta recipe for you. 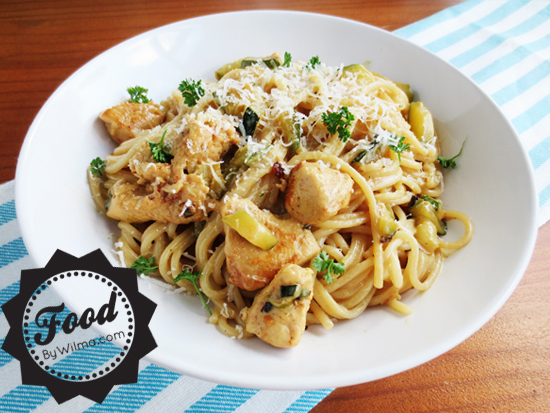 It’s fast and easy to make, perfect for a weekday! Learn how to make this delicious zucchini pasta after the jump. . . 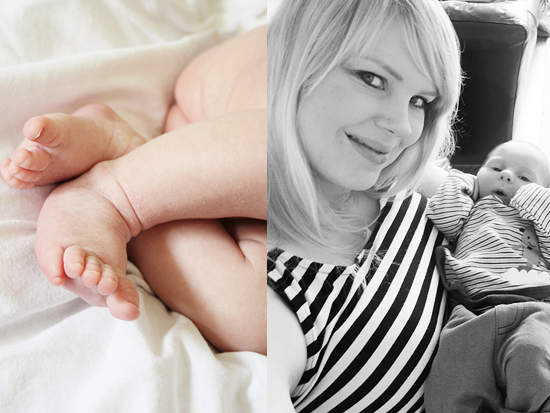 Since Rens has been born, we’ve been taking a lot more pictures. We don’t want to miss anything and remember everything. He is growing so fast! Some clothes that were too large when he was just born, now no longer fit. Of course these pictures would be great in an album but sometimes you just want to do something different. Besides, It’s always nice to have something from Rens with me! That’s why I made this cute notebook. I could have chosen one great photo as a cover but instead I chose a beautiful collage of triangles. A super simple but fun project! 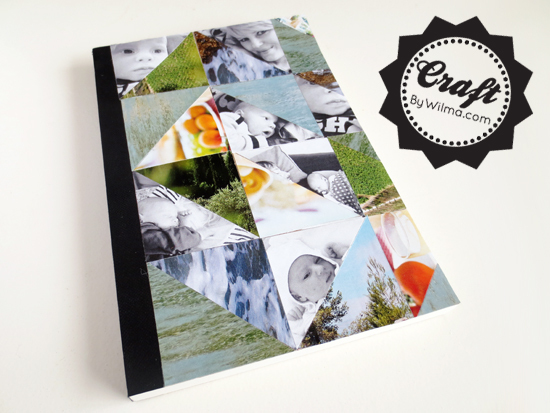 Read on to see how to make this super cute triangle notebook. . .